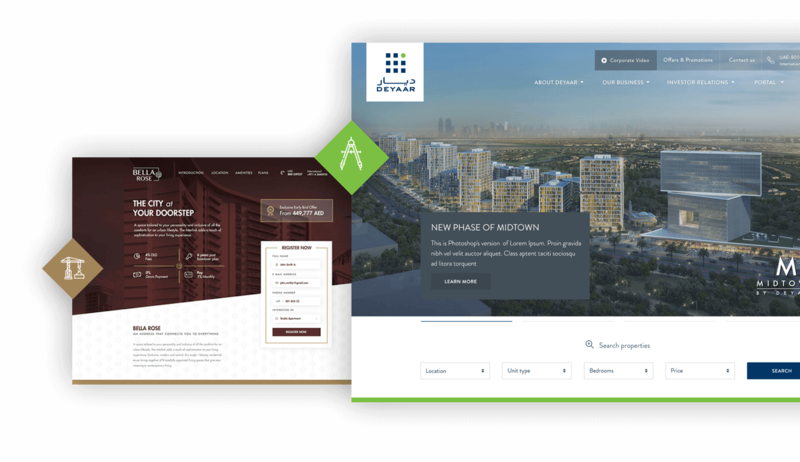 Web Design & Development for Dubai’s leading property developer. Cactimedia developed corporate website for Deyaar with professional design and a range of great features. We design clean, crisp and seamless showcase websites. Our team designed and developed product showcase website for Seddiqi & Sons based in Dubai. 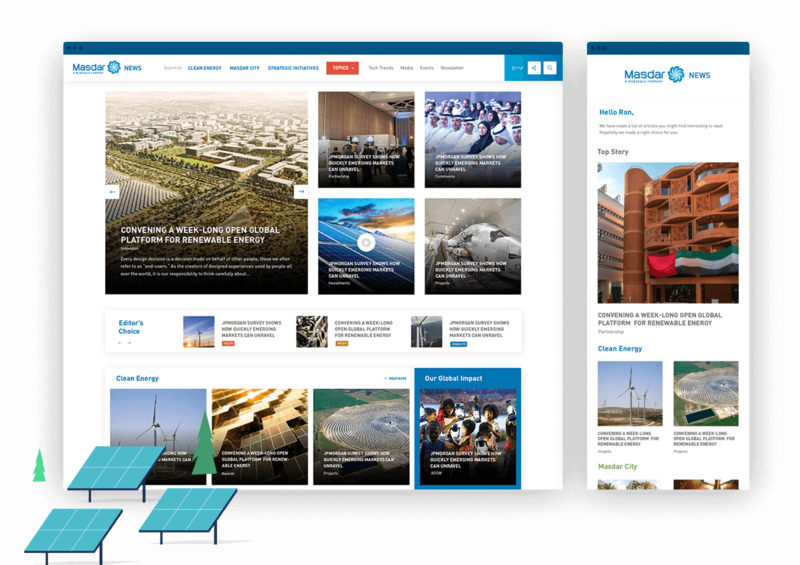 A beautiful and sophisticated, extensively and elegantly developed News website. Built with Sitecore, graphically flexible and lively, colorful and vibrant web design by Cactimedia team. Fresh-faced and lively, aesthetically pleasant and user-friendly web design. 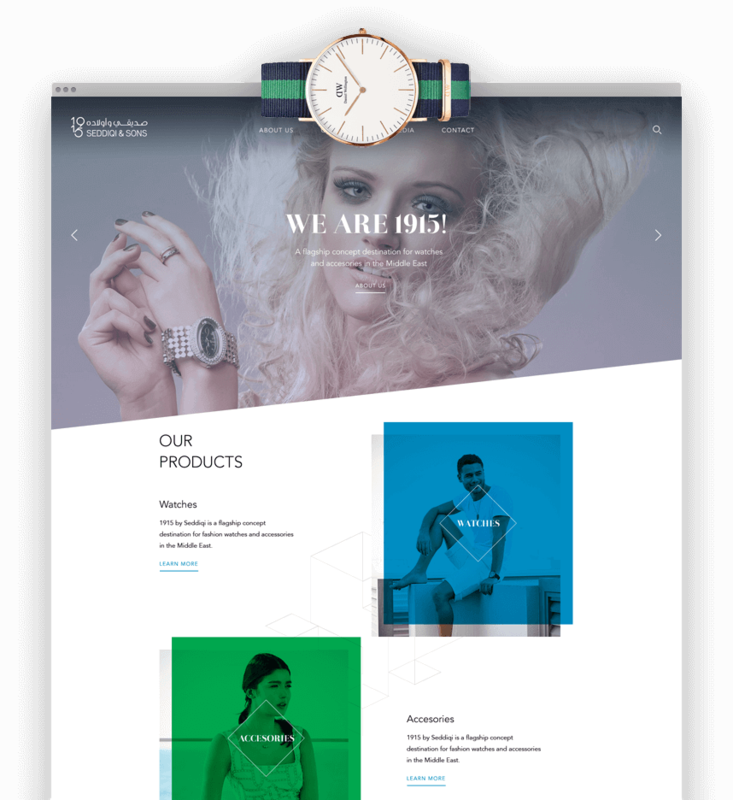 Cactimedia team designed and developed a website which looks extremely beautiful and very easy to use. The work we do is the great. Our great work comes from the great people that work here. But don't take our word for it, check out our web design Dubai portfolio here. We make beautiful websites for people just like you – and for brands just like yours. We are a tightly knit team of developers, designers, project managers & marketers and we pride ourselves in being inventive, clever and highly resourceful. Get digital services with stunning results. We combine the right strategies with the right technologies, awesome web design, brand-focused content and most important of all—creative thinking. When it comes to web design in Dubai, our job is to come up with ingenious solutions that give you the edge in the most competitive industries and markets. We have the skill, knowledge and motivation to turn your ideas into spectacular web design, interfaces and marketing solutions. Creative ideas run wild at Cactimedia and we have this thing for turning those creative ideas into workable web design solutions for our clients. Some people see the word in code. And we have a few of those geeks on our team here too. Combined with our creative and project management prowess, you will get a seamless, one-stop solution that’s tailored to your vision. We provide the space on our servers and prepare your business for its online presence. Our hosting solutions are 100% secure and supported round the clock by our team of techs. Whatever products or services your business may offer, the internet levels the playing field, allowing you to compete with the top dogs. So let us help you take advantage of that. Get the strategies you need for top search rankings. Become an industry leader online by improving your online ranking and putting yourself ahead of the competition. Get your messages to the right audience powerfully and effectively via Social Media. Shareable and memorable content delivered strategically across relevant social channels is truly powerful. What you get when you Hire us for your Web design? Cactimedia has over a decade of experience and we excel in designing websites that require us to understand our client’s vision, be creative and put in the long hours. When working on web design projects in Dubai and with clients all across the UAE, we tend to go the extra mile to design, develop and market websites that are perfect on every level – and until our clients are not just happy, but delighted with the end product. We provide a full range of web design Dubai solutions that are tailor made to meet your precise needs and requirements. Most of our clients have no experience with websites and online marketing and we know exactly how to manage such projects, set expectations and even educate our clients along the way. So if you want a website that looks and behaves exactly the way you want it to without digging into the details then take advantage our 10+ years of experience to stand out from the crowd – after all a compelling website that’s honed to perfection is an integral part of any business in Dubai. 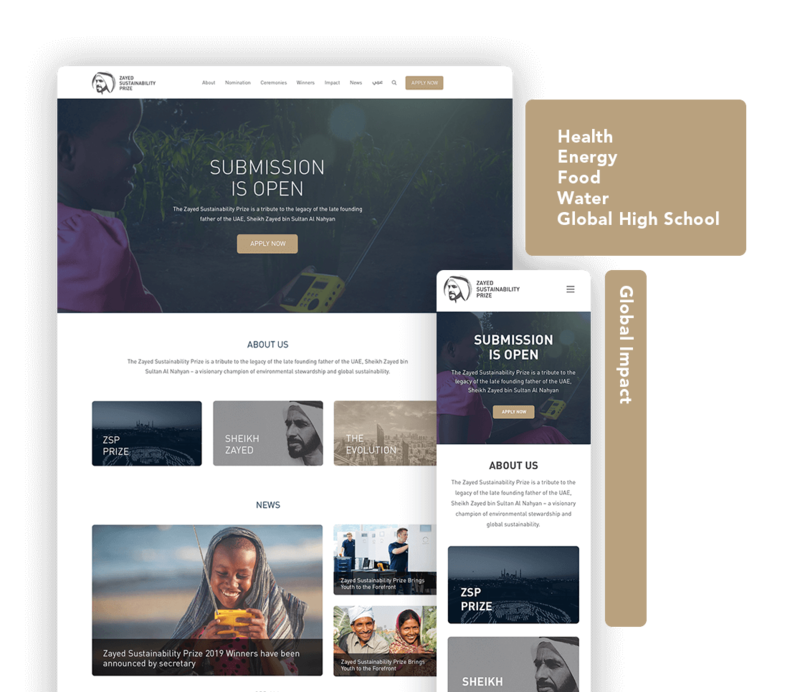 Many web design companies in Dubai use templates to create websites that are affordable but may not be in-line with business goals. We, at Cactimedia don’t do that. All our websites are unique and are designed and developed specifically for your business. Our coding is clean and 100% compliant with industry best practices and standards. It’s not only about designing a great looking website; it’s also about clean code that makes it a breeze for search engines and browsers to decipher. Whether it’s a standard website meant to represent your company online or whether it’s an ecommerce store or something more complex with a Content Management System (CMS), Cactimedia will create distinction and value for your online presence in Dubai and across the UAE. From conception to completion our Dubai-based team will guide you through every phase of the web design process – our ability to listen effectively and communicate ideas and concepts clearly and effectively is one of our most talked about distinctive factors. We don’t just do web design, we also deliver user experiences that are unique, convincing and impactful. The masterpieces that we deliver our clients are all meant to encourage interaction, generate interest in the product or service, boost sales – whatever your objectives are, we will craft your website to achieve it. When it comes to designing websites, what lies behind a sleek design and seamless user interface is just as important. Keeping your goals in mind we only use the technologies that would deliver the best results – we understand that it all has to come together perfectly. Our technical team is fluent with the full spectrum of web design technologies – PHP, ASP.net, MySQL Database programming, HTML 5, JQuery etc – We take care of all the tech stuff so that you can focus on growing your business.